This episode includes: - The Parable of the Good Shepherd: an entertaining yet meaningful reminder of how Jesus, our shepherd, calls us by name and makes us His sheep! - The Baptism of Jesus: A moving account of the day Jesus was baptized. - The Day of Pentecost: A powerful portrayal of the day the Holy Spirit was sent to the Early Church. - The Sacrament of Confirmation: A vivid, simple and clear presentation of how the Sacrament of Confirmation is celebrated, and how we prepare for it. 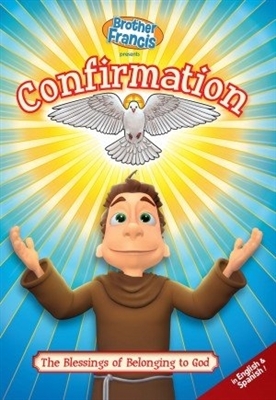 Present in the same joyful reverence as all other episodes, “Brother Francis: Confirmation” will help viewers understand the wonderful grace given in this powerful sacrament!